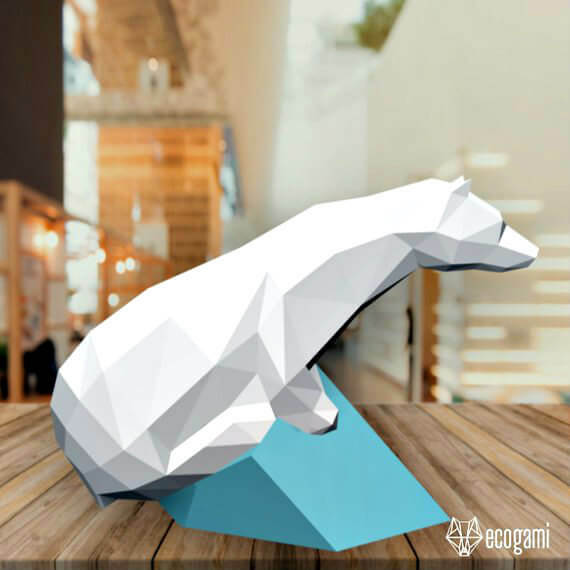 Knowing that many of you enjoy making 3D paper craft figures that are simply printed, cut, creased, and glued into shape, I wanted to alert you to the newest designs from Éric François, the clever low poly model creator at Ecogami Shop. (Back in June I showed you his seaside figures.) With the holidays approaching, here are a variety of winter-themed and Christmas designs. 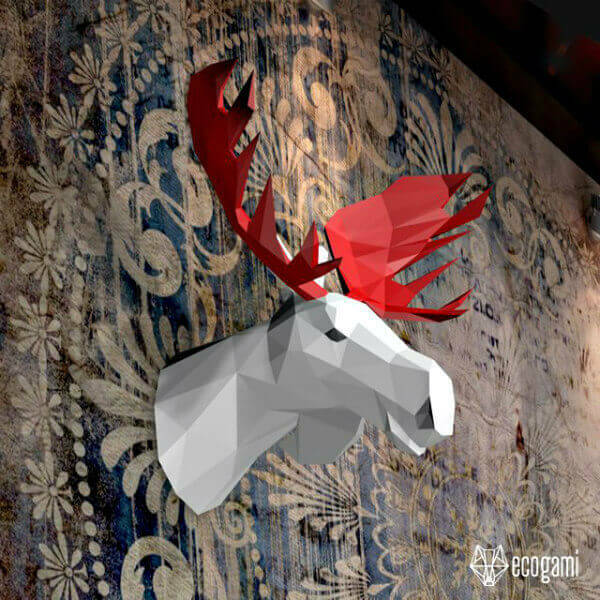 You could hang ornaments and a string of lights on the red antlers of this stately moose to make him even more festive. 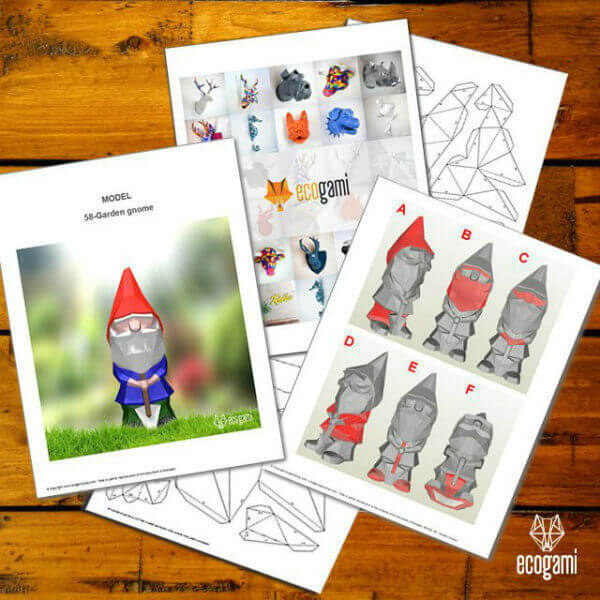 Ecogami templates are available as immediate downloads... just have card stock on hand so you can get started right away. Éric recommends paper that is at least 200 GSM, ideally 270. Print the template on colored paper or print on white paper and assemble first, then add paint or color with markers. In-depth instructions are included with each pattern. 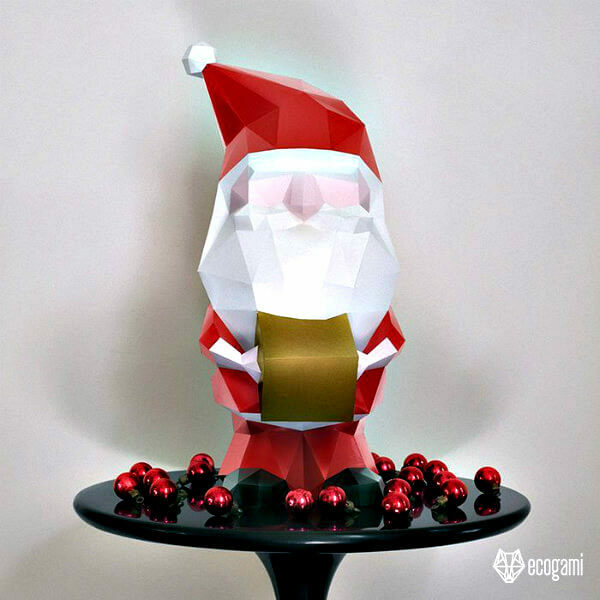 In just a couple of hours, Santa Claus will be ready to greet your guests. 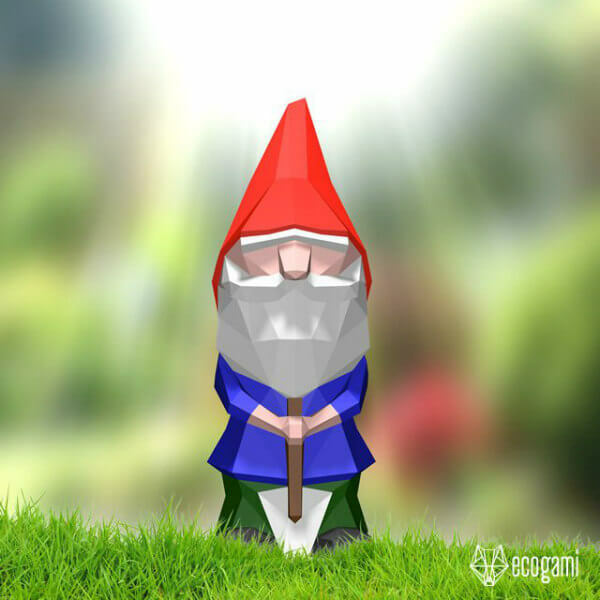 Pretend this cute garden gnome is a snow-shoveling elf who clears Santa's path down the chimney. Here's an example of the printables that come with each model. Older kids will enjoy assembling models while on their school holiday. Cold weather doesn't bother this penguin duo... they're ready to take a leap into freezing water. The same goes for this polar bear balanced on an ice floe. Brrrrr! Unicorns are incredibly popular at the mo, so I'd be remiss to not show you this sweet gal. 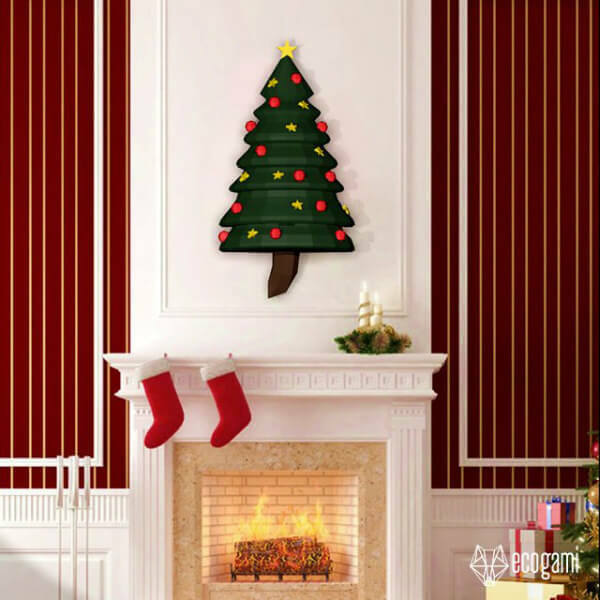 Make one as wall art for your child's room.... you could even sneak in and hang it once they've fallen asleep on Christmas Eve. Imagine the delight when they awaken! 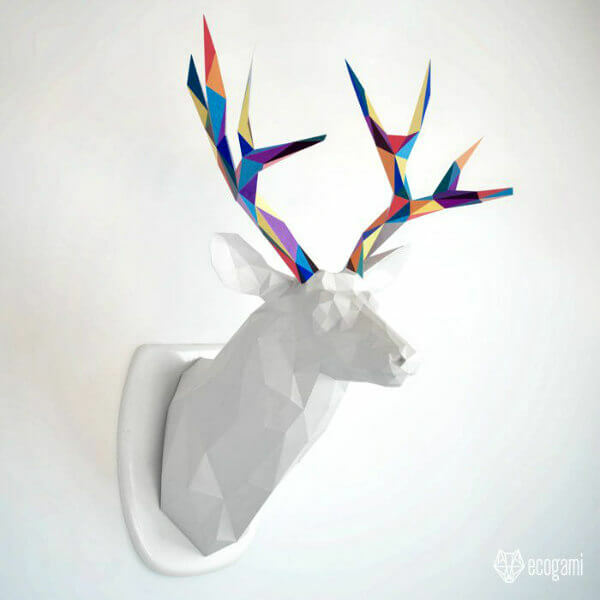 You'll also find a deer trophy - I'm loving his jazzy geometrics. 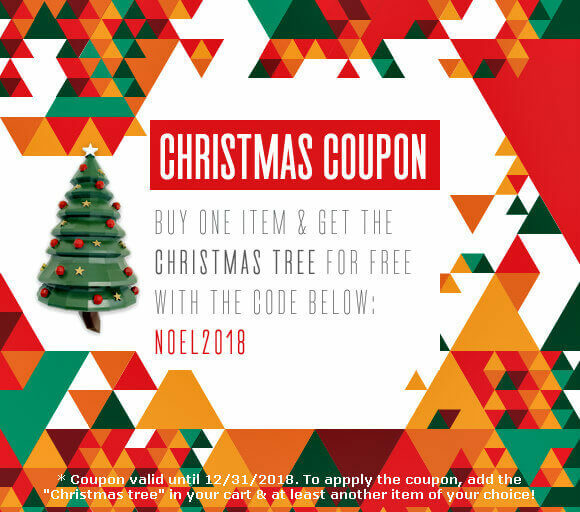 This Christmas tree pattern is free through December 31, 2018 if you buy one other design, or you can purchase only the tree if you prefer. 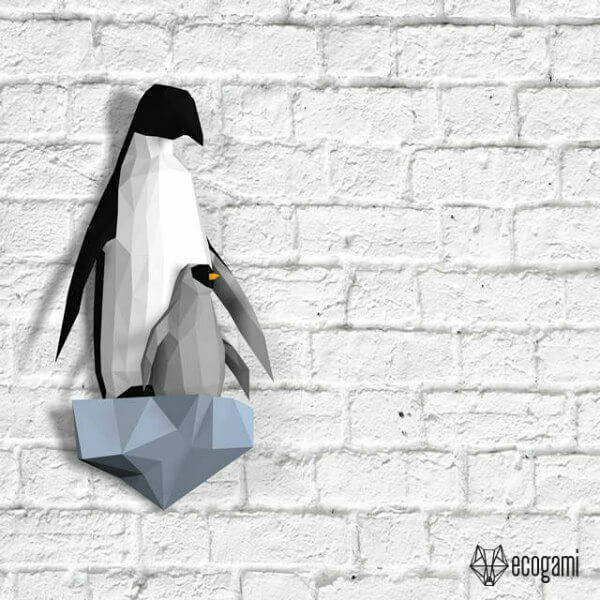 So choose an Ecogami project and let the decorating commence! Once you get started, the stress of the season will begin to melt away... crafting has that effect on people. And when you're finished, you'll have the best sense of accomplishment. EcogamiShop is also on Etsy. 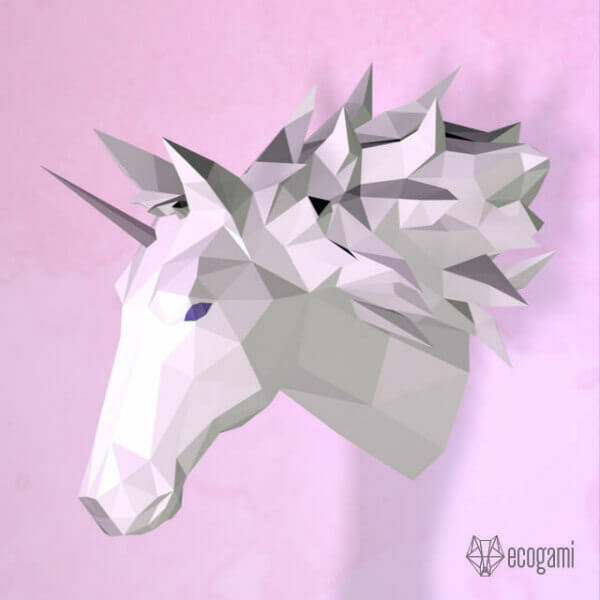 All Things Paper is an Ecogami and Etsy affiliate. So glad you like them, Tracy! Me too. Wow! Have to try one of those kits! Lovely. They're great, aren't they? All you do is print the pattern on your own card stock and start making!